We've been having some beau-ti-ful weather lately. Balmy. Lovely. Think warm sunshine, flip-flops and open windows kind of weather. I love it! I know you're jealous, but I have to document these things to remind myself that living in Florida is not-so-bad. Anyway, we took advantage of it, and went for a family walk over the weekend. It was great. I forget how much I love being outside. I have become a hermit since living in Orlando simply because most of the time it's so stinkin' hot I can't stand it. 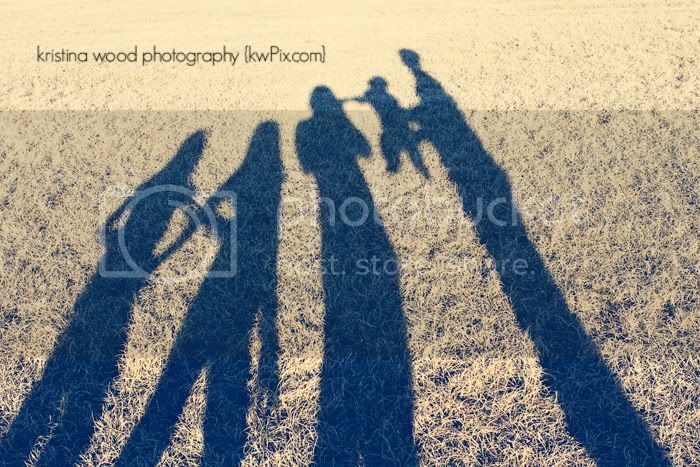 There are many more photos to share, but for now, here's my new favorite of our family: a little silhouette action. And, I'm just in time to play along with Emily's "Embrace the Camera" game. Well, it's not really a game, but it's sure fun!